Packaging Dimension (WxLxH) 20x16x5 cm. 6 farm animals and 6 colors chicken cow, duck, horse, pig, and sheep. Six colors are red, orange. yellow, green, blue and purple. 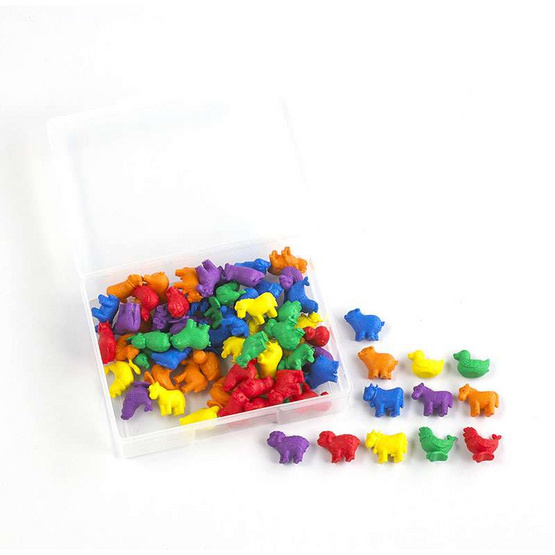 Set of 72pcs in sturdy plastic container. - WARNING : CHOKING HAZARD. Small parts. Not for children under 3yrs.